Freakmode Volume Training: Train Like A Ripped Freak! #FREAKMODE volume training shocks your body into burning tons of fat and growing at the same time. Use it before a competition or add it to your training to stay ripped year-round. Volume training is not for the weak. This program is for athletes looking to shock their muscles and shift into a "get ripped and grow" phase. My #FREAKMODE volume training protocol is based on the very popular German Volume Training (GVT) system, which is basically 10 sets of 10 reps. I have done my share of GVT, but I have found that I get better results—and am less likely to fall victim to overtraining—with 8 sets of 8 reps. I've used this workout program many times over the years, and it's helped me gain muscle and get ripped. Intensity undoubtedly plays a key role. There are no rest periods between exercises or sets in this program, which drives the difficulty way up, cuts down on your time in the gym, and sends your metabolism into overdrive. This is a basic "pain and gain" workout protocol that will shock your system and help you break through any plateaus. Note: Due to the intensity and muscle damage that this program elicits, you should only follow it for 4-6 weeks at a time. This plan calls for three weight-training workouts that you'll crush each week to hit every major muscle group. Each session includes basic, compound movements for 8 torturous sets to stimulate maximum muscle fibers—which is why you are only hitting one exercise per body part. You'll also perform some unique moves that might not be part of your everyday workout staple, like twisting dumbbell presses, rack rows, Zottman curls, and box squats. Friday is leg day, followed by two days of rest, light cardio, or cross-training. Why allow more than a day of recovery? Well, because if you're crushing these workouts and pushing yourself, you'll have no other choice than to take a few days of rest. "I've used this workout program many times over the years, and it's helped me gain muscle and get ripped. Intensity undoubtedly plays a key role." If you do this program properly, your legs will be fried and light cardio is about all you'll be able to manage. But don't consider it backtracking by any means. In fact, the light cardio sessions will help speed recovery and reduce stiffness after your brutal leg session. I've added a core exercise to each workout. Stick with one exercise only, so you don't fatigue the core muscles to the degree that your strength and technique are compromised during compound lifts. The core exercise will also serve as some active recovery between each set. Note: Don't sacrifice form to hit the prescribed rep range for each exercise. If you can only do 5 quality reps on the last set, that's better than cheating to get 8 and risking injury. Watch the workout videos below, then print or download all the workouts so you can knock them out for the next 4-6 weeks! 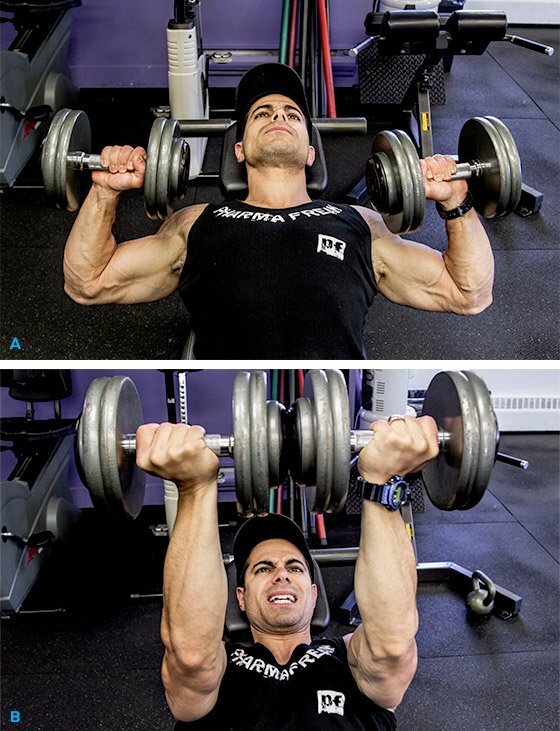 Volume training burns a ton of calories and will undoubtedly deplete your energy stores. Of course, the food you eat throughout the day will help fuel your workouts and support recovery, but a properly formulated pre-workout powder can help crank up your intensity into overdrive and allow you to push through every last rep! Supplement staples like branched-chain amino acids (BCAAs) and L-carnitine can be very useful to speed up recovery and support muscle growth when following a volume-based workout program like this one. 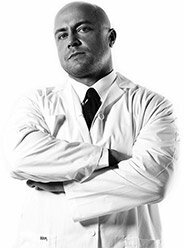 "Before these workouts, I take 3/4 (and sometimes a full) scoop of Super Freak pre-workout powder along with a gram of L-carnitine," says Don Gauvreau, MSc, CSCS. 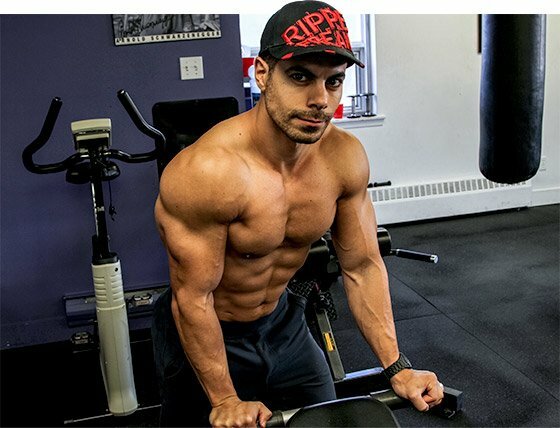 "During my workouts, I like to sip on a mixture of BCAAs in water. As soon as I'm done training, I swig back the rest of my BCAAs and another gram of L-carnitine. It's a pretty simple supplement stack, but it works great for maximizing workout performance and recovery!" For the compound exercises, which are the focal point of this program, stick with 50-60 percent of your one-rep max (1RM). Your goal should be to get out 8 quality reps of each set without going to complete failure, except on the final set of each exercise. Perform the exercises listed back-to-back and, as mentioned, cut out all rest between each set to keep the intensity way up. The opposing exercises (push/pull), as well as the core movements, will provide active recovery. Once you can complete a full workout with all the reps prescribed, increase the weight by the smallest increment available. It's very important to control all movements and follow the prescribed lifting tempo for each exercise in the program. The lifting tempo used in this program is written in a sequence of four numbers, such as 3-0-2-1. The first number represents the eccentric or negative phase; the second number represents the stretched phase; the third number represents the positive or concentric phase; and the fourth number represents the peak contracted phase. The number assigned to each phase of the tempo represents the number of seconds you should take to complete each phase. In other words, the first number represents the time (in seconds) it should take you to lower the weight, the second number is how long you should pause at the bottom, the third shows how long it should take you to lift the weight, and the fourth number shows how long you should squeeze at the top. Burd N.A., & Andrews R.J., et al. (2012). Muscle time under tension during resistance exercise stimulates differential muscle protein sub-fractional synthetic responses in men. J Physiol. Jan 15;590(Pt 2):351-62. Scott, C.B. (2012). The effect of time-under-tension and weight lifting cadence on aerobic, anaerobic, and recovery energy expenditures: 3 submaximal sets. Appl Physiol Nutr Metab. Apr;37(2):252-6.